Discuss and analyze Megan Coyle’s collage technique. Discuss the benefit of using collage when compared to other art materials. Compare the differences and similarities between landscape and cityscape collages. Make a landscape or cityscape collage. Have students read Megan Coyle’s bio and study the collages in her online galleries. Discuss how Coyle’s collages are constructed – review her process. Have students read over the Student Activities: Benefit of the Collage Medium, Landscape Collages, and Cityscape Collages. Discuss the different type of cityscape and landscape artwork that exists. What can an artist share or show by depicting landscapes and cityscapes? 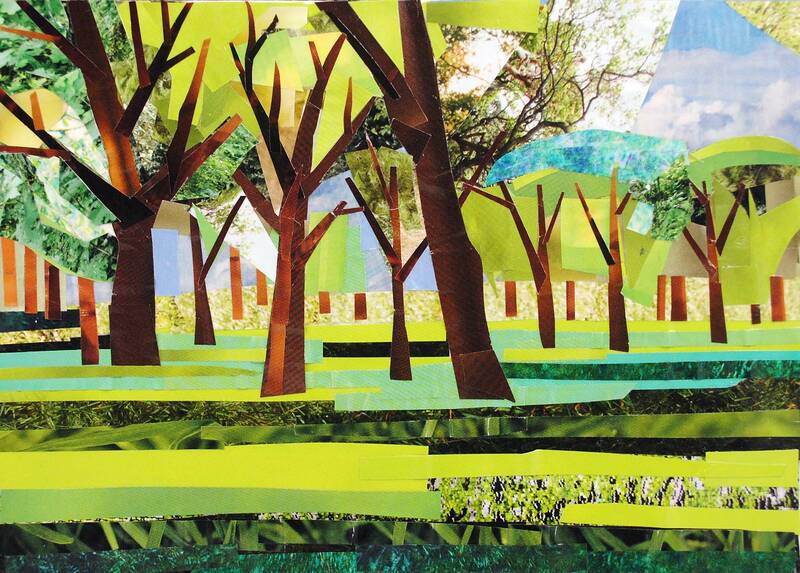 Distribute the collage-making materials and have students create a landscape or cityscape collage. Instruct students to sketch their composition before they start collaging. Did the student complete a cityscape or landscape paper collage? Did the student use a variety of color and texture?